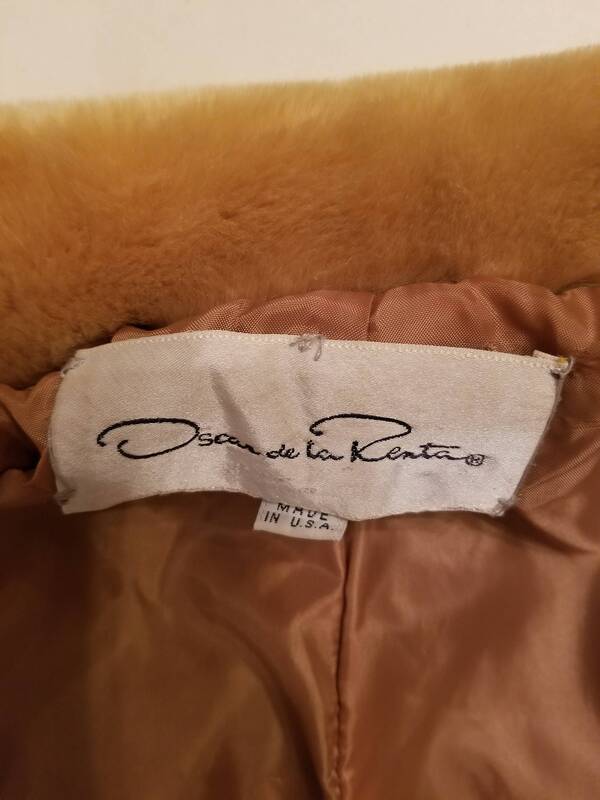 Vintage Oscar De La Renta full length jacket with satin like lining. 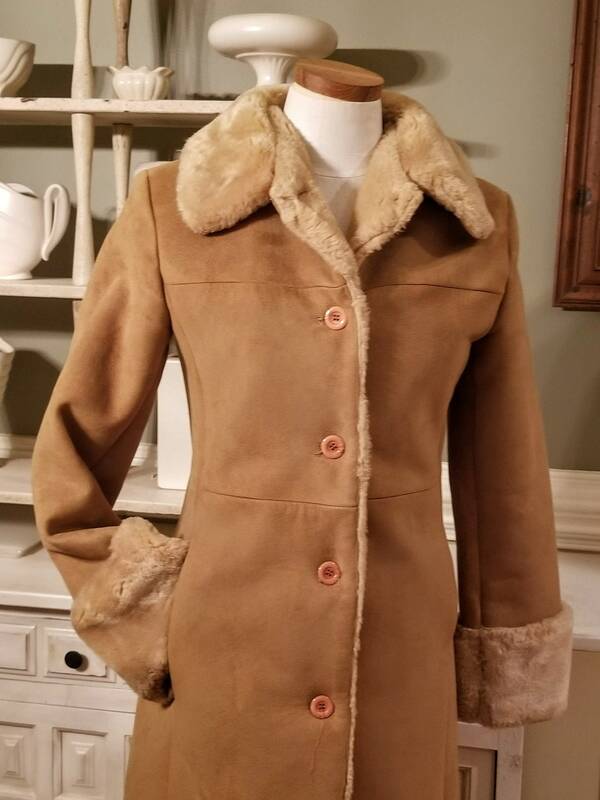 2 slit pockets one on either side with faux fur collar and cuffs. 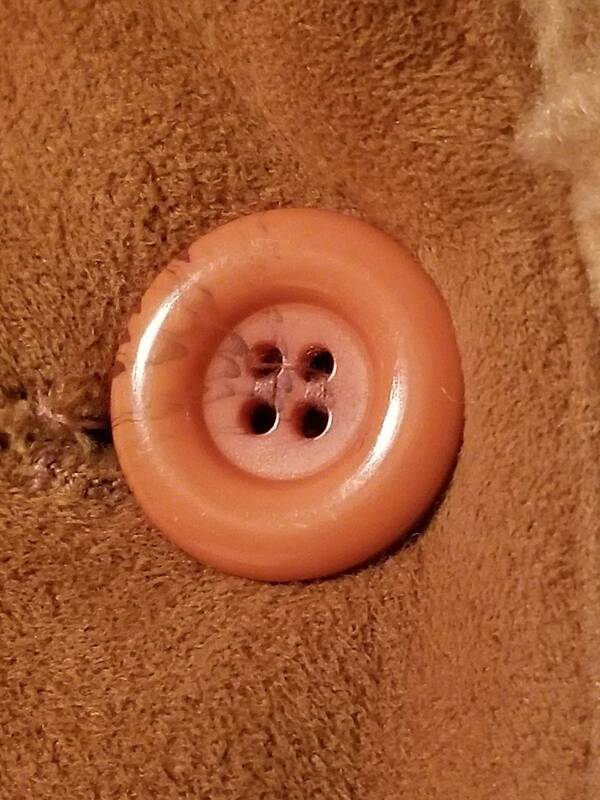 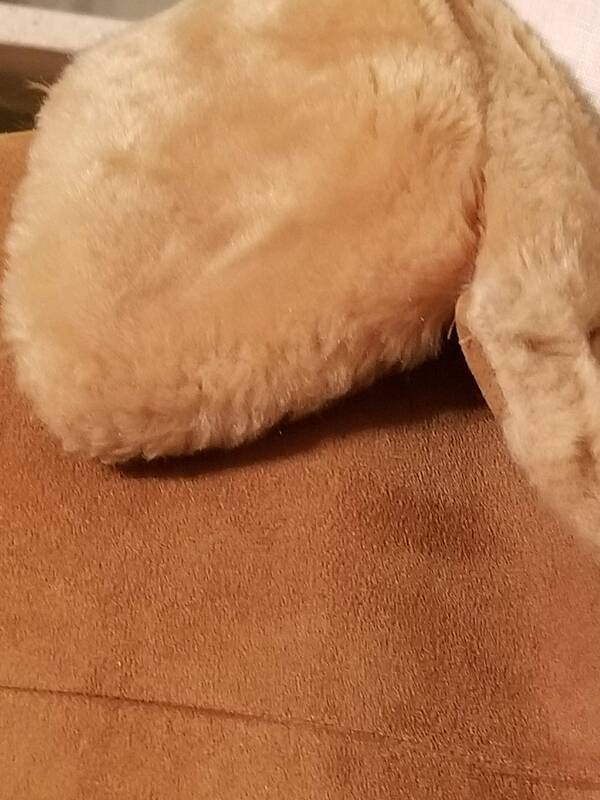 Plastic buttons hold the coat closed down the front. 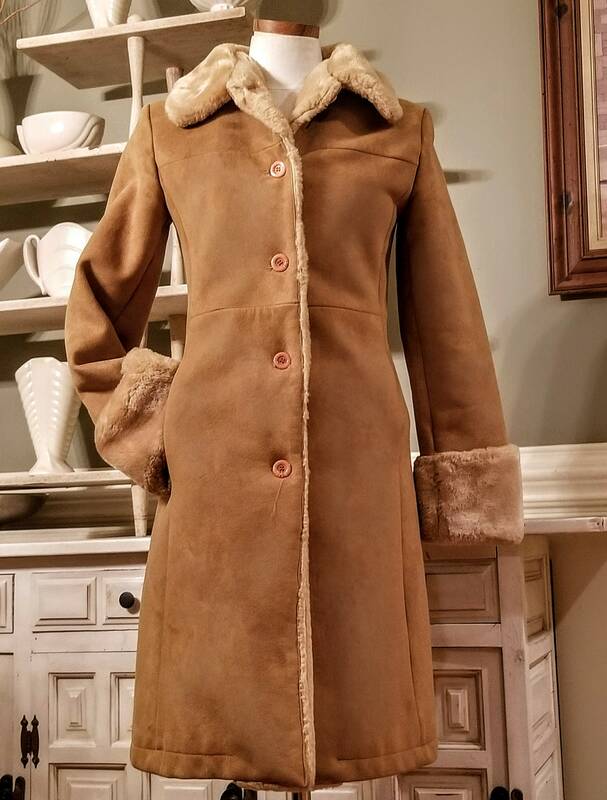 Comfortable faux suede material makes it easy to move around and yet stay warm during the cooler months. 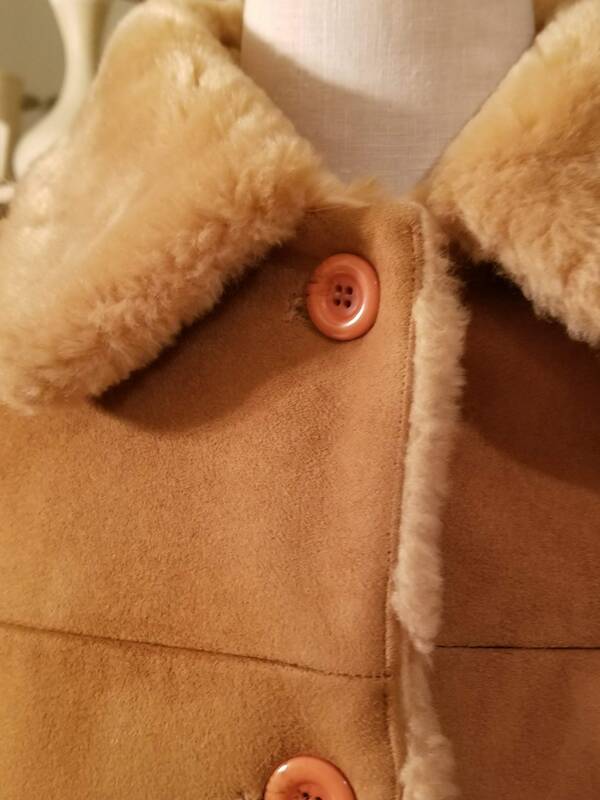 Some repair to lining and a few openings in the lining seams. 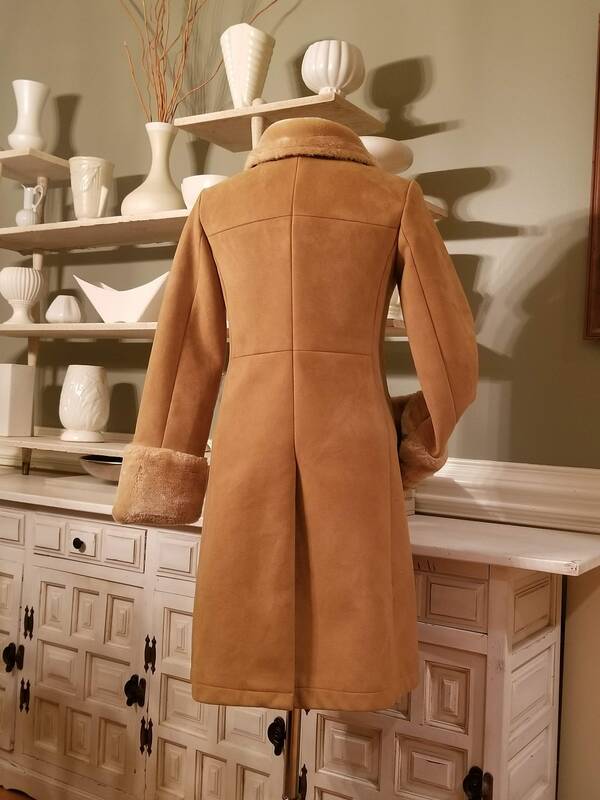 Stylish kick pleat at the back bottom of the coat. 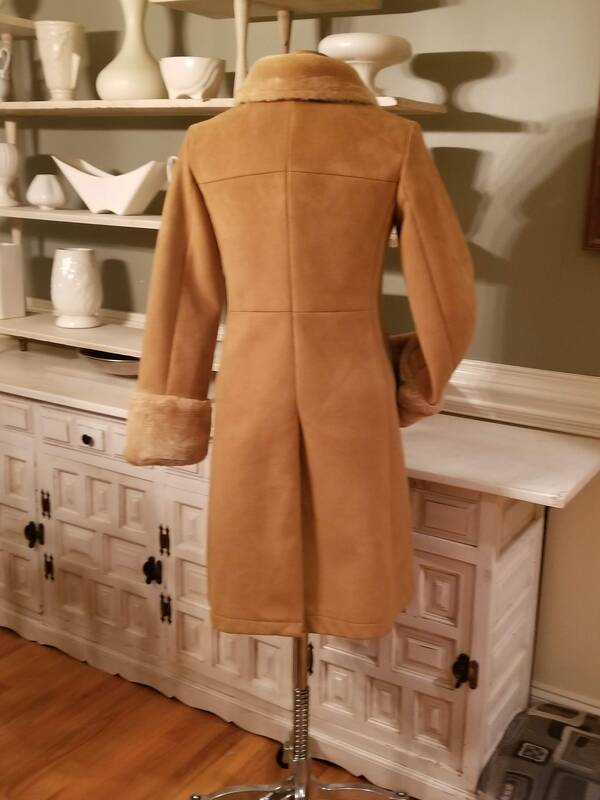 37" from back of neck to bottom of coat and 15" from shoulder seam to shoulder seam across back. 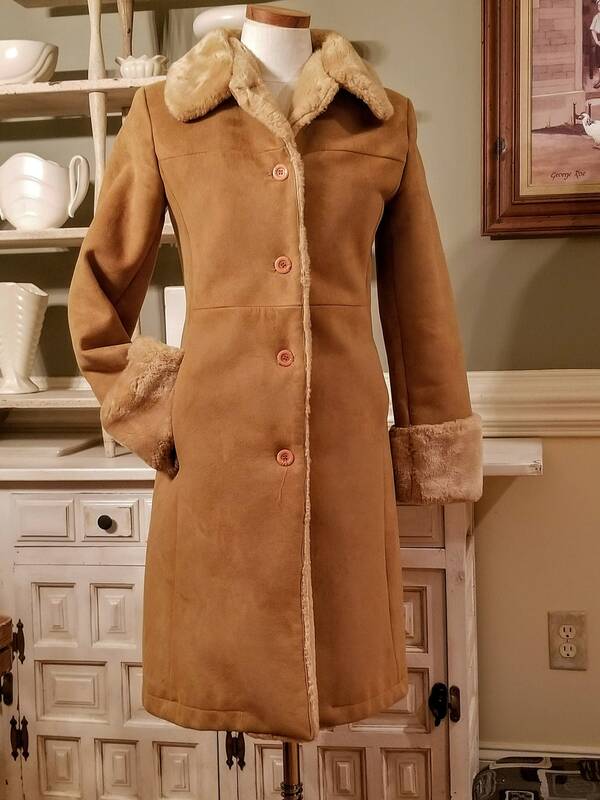 Fits size 4-6 womens' size model.